Lovely. 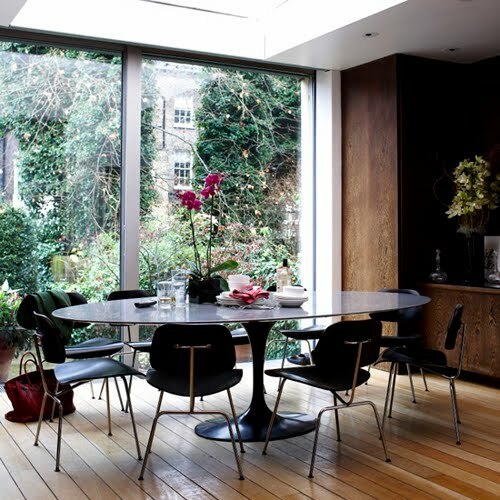 I use Eames' shell chairs around a farm table - love how well the Eames' modernism works with older elements made of wood, metal and stone. However, those plywood chairs are SO low to the ground. I'm 6'2", and I feel like I'm atop a child's chair when I'm sitting on one of them. They look beautiful, though.